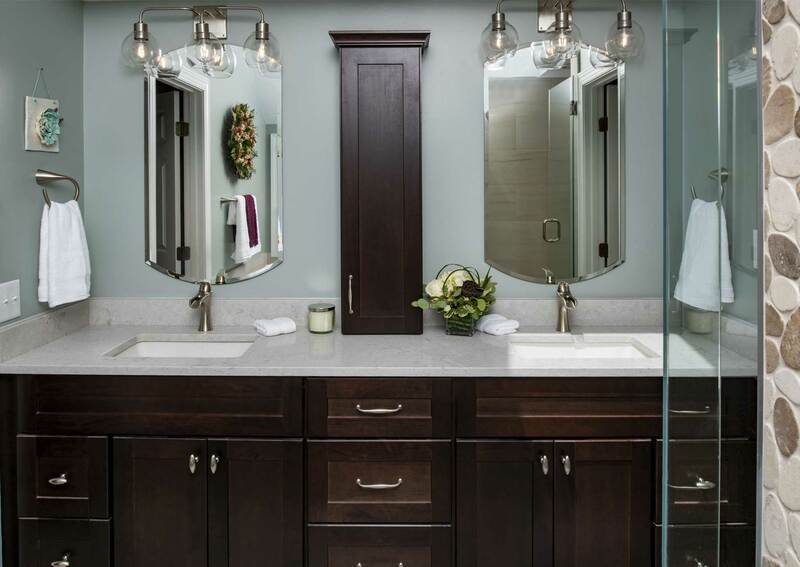 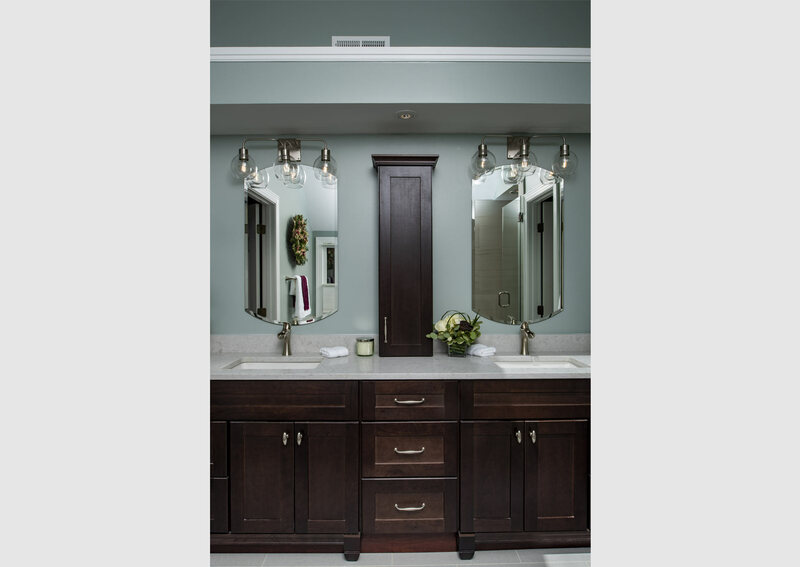 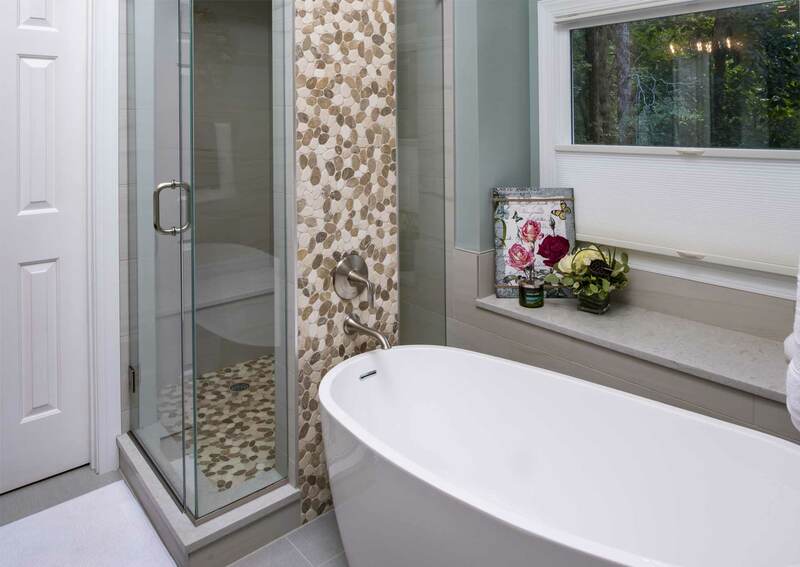 This spa-like bathroom retreat renovation started when a client came with the request for us to build a remodel around cabinets she had already purchased. 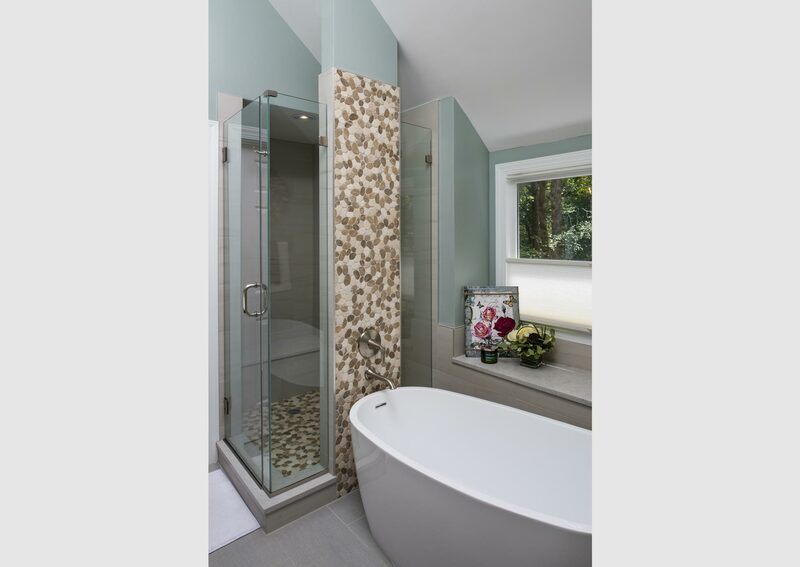 Using a neutral color palette we created a space that would calm and relax. 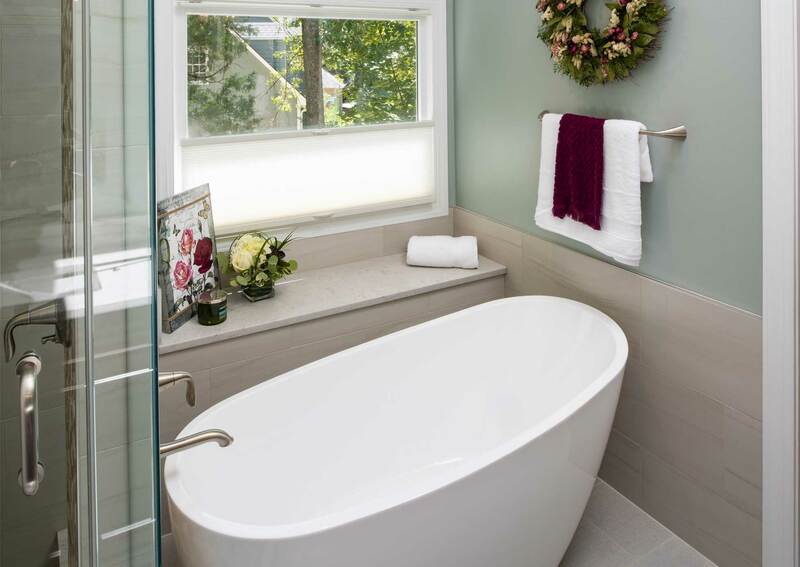 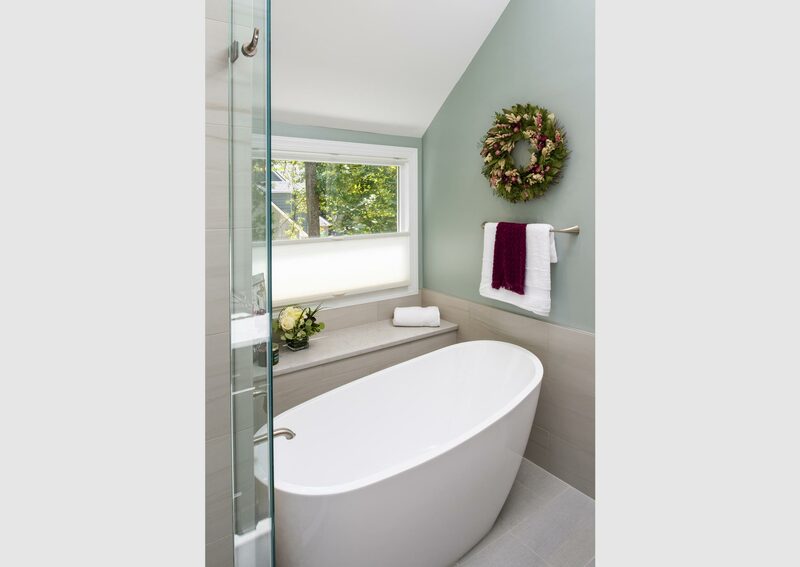 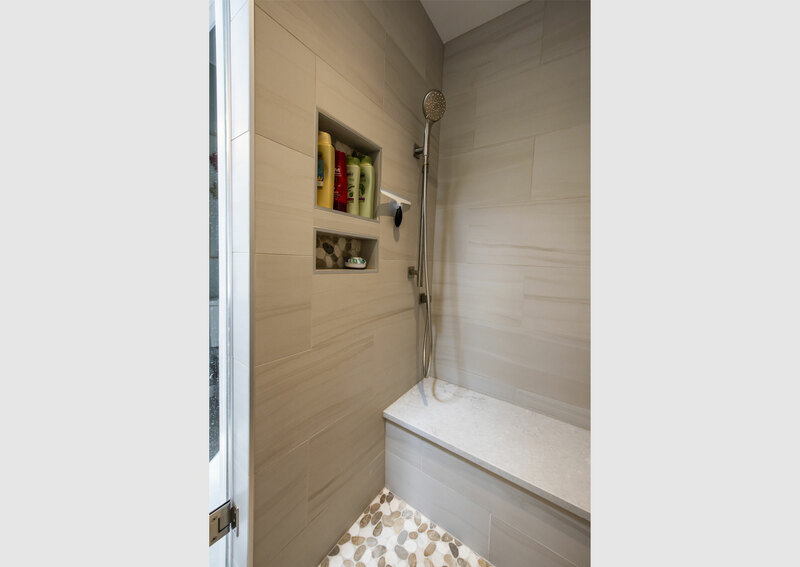 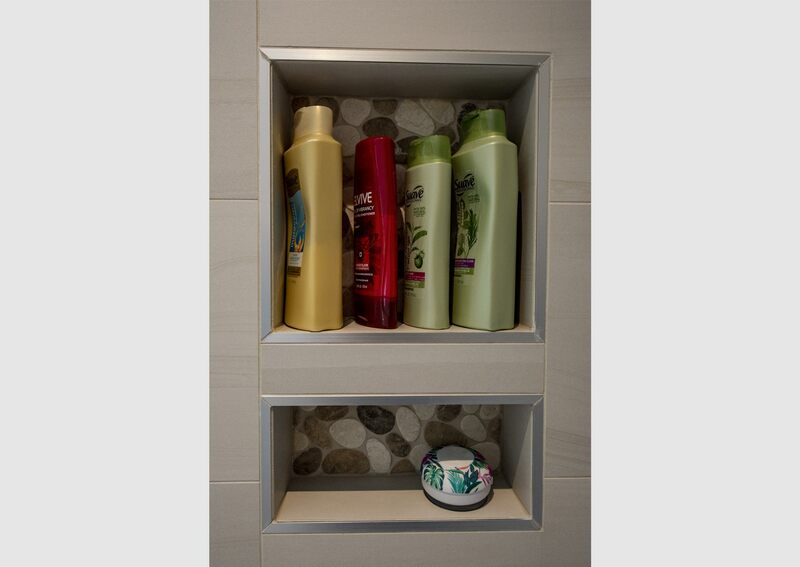 A challenging aspect of the project was finding a tub that would fit the space while maintaining a comfortable and convenient door opening into the shower. 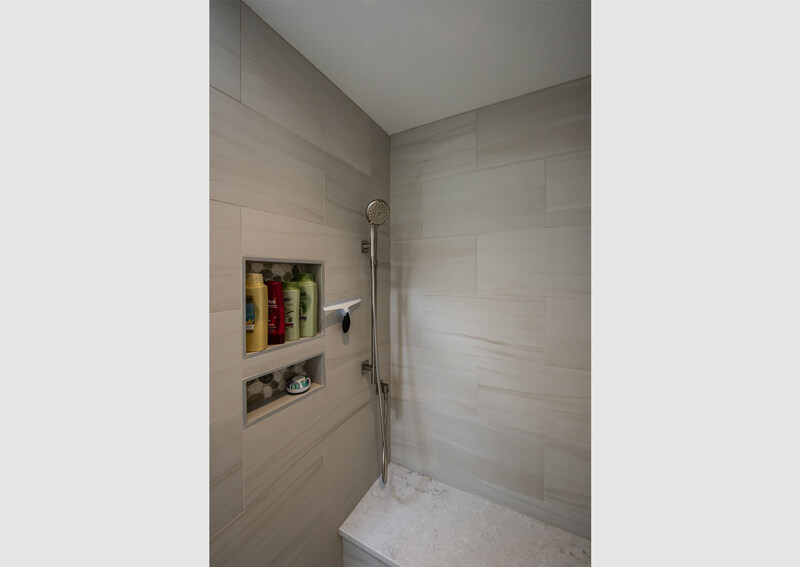 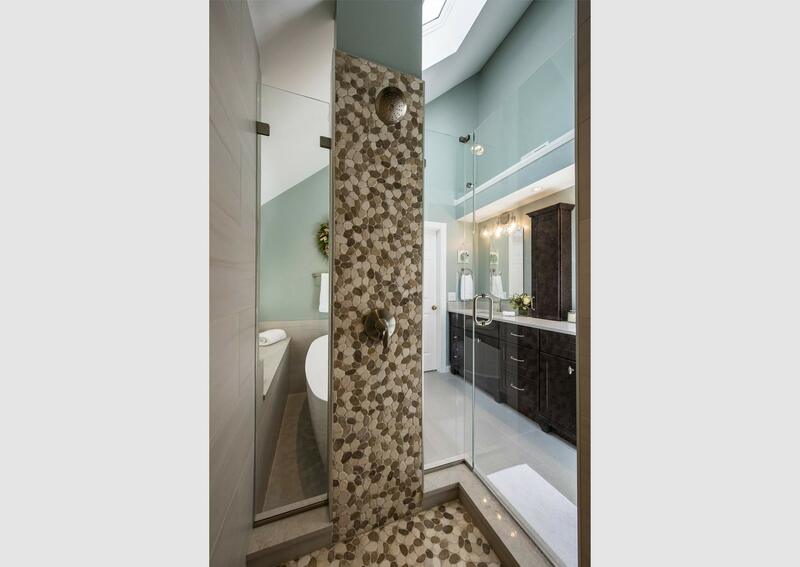 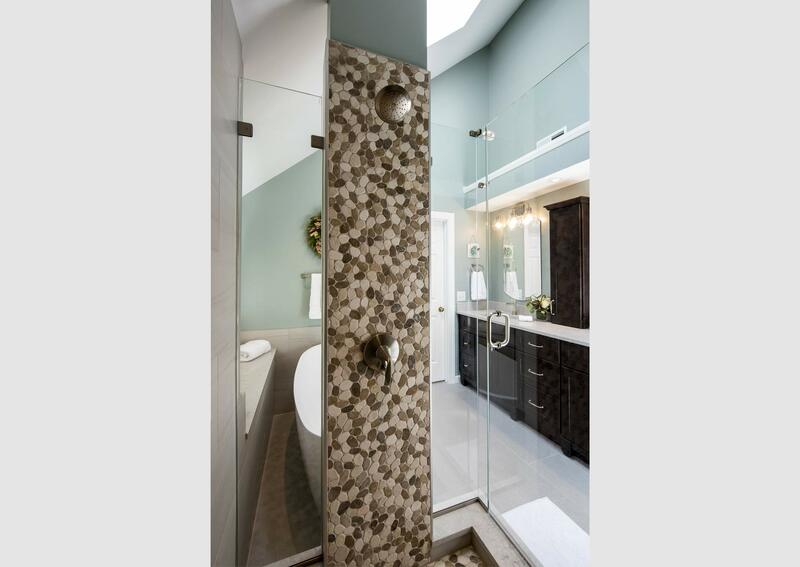 Through the use of the focal pebble stone wall, we were able to give a sense of privacy for the person that would be in the shower while also providing natural light.